For over 60 years The Brown County Veterans Memorial Arena has been host to sporting events, concerts and large events alike. This spring the historic arena will close its doors forever, but not before going out with the biggest party it has ever seen. 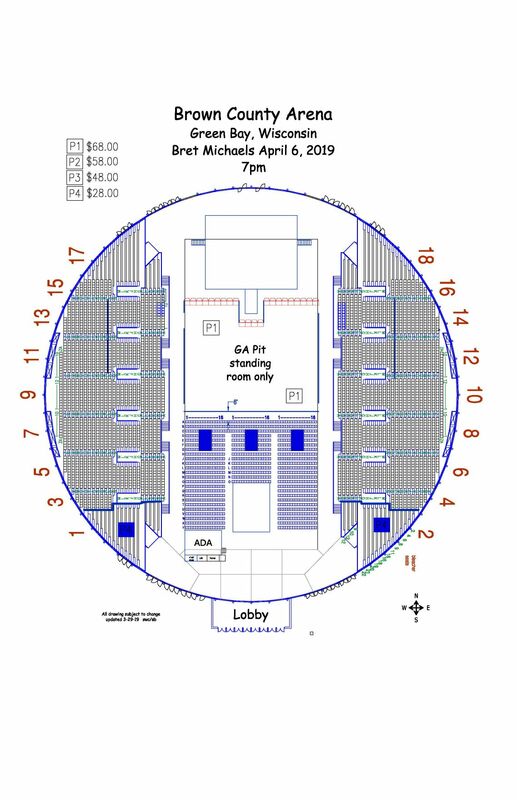 On Saturday April 6, 2019 multi-platinum singer/songwriter and reality TV star Bret Michaels will bring his record-breaking “Unbroken” world tour to rock the arena for its final time. With over 50 million records sold, the “Rock Of Love” star and “Celebrity Apprentice” winner Michaels is no stranger to the Brown County Arena having kicked off several world tours and filmed the video for his #1 hit song “Every Rose Has Its Thorn” in Brown County.